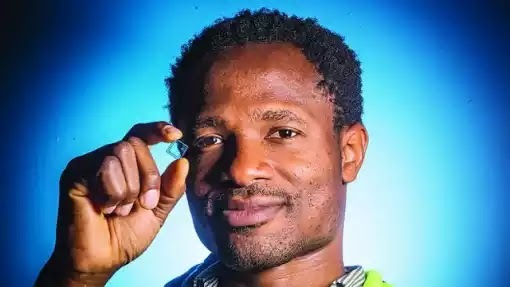 Silicon Valley-based Oshi Agabi has unveiled a computer based not on silicon but on mice neurons at the TEDGlobal conference in Tanzania. The system has been trained to recognise the smell of explosives and could be used to replace traditional airport security, he said. Eventually the modem-sized device – dubbed Koniku Kore – could provide the brain for future robots. Agabi is attempting to reverse-engineer biology, which already accomplishes this function with a fraction of the power it would take a silicon-based processor. “You can give the neurons instructions about what to do – in our case we tell it to provide a receptor that can detect explosives.” He envisages a future where such devices can be discreetly used at various points in airports, eliminating the need for queues to get through airport security. .
A self-described “scrawny, nerdy kid,” Agabi grew up in the suburb of Surulere in Lagos, Nigeria and obtained a Bachelors degree in Physics from University of Lagos. .
TED – originally known as Technology, Entertainment and Design – has built a global following for its online videos of inspiring talks devoted to “ideas worth spreading”.